With a Side of Chocolate: It's September..
Well, hello there. Don't mind me, just showing up to my blog over two months after my last post. And I can't even promise that this will be a consistent thing quite yet. I want it to be, but with everything we have going on right now, I don't want to promise anything quite yet. But, lets catch up on what's been going on over here since July! We spent the 4th with my family at the lake. 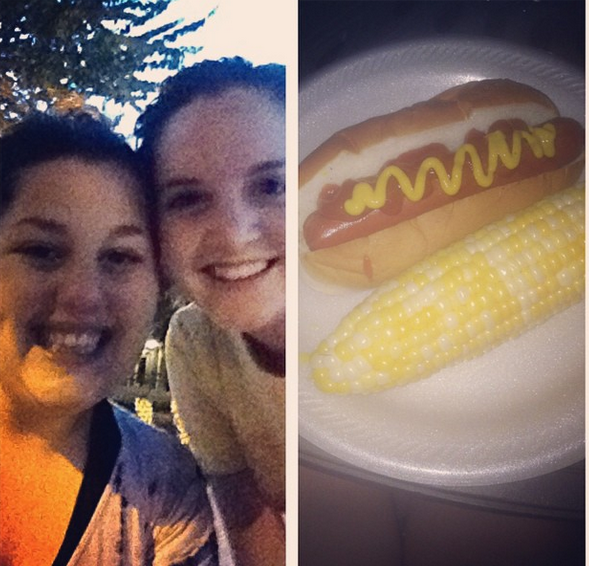 It was your traditional burgers, hotdogs, tubing and swimming at the lake. It was perfection. 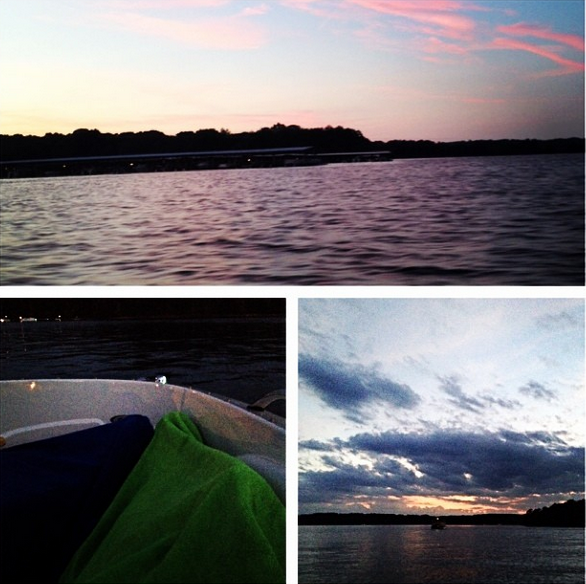 We also went out on the lake at sunset to watch fireworks all around the lake! 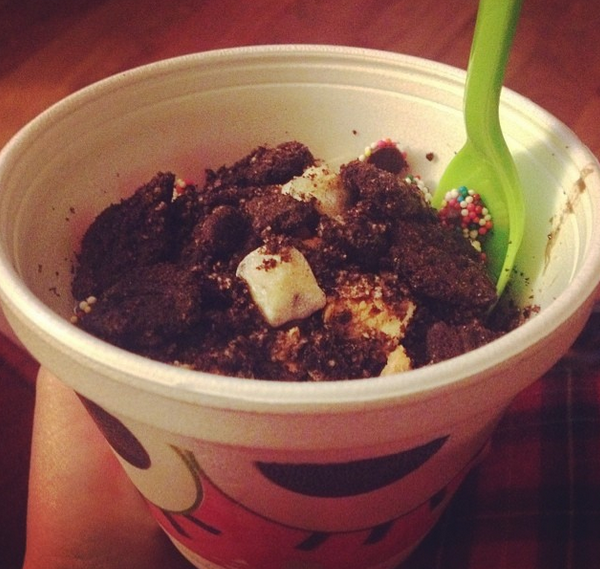 July had a lot of fro -yo (and lets be honest, there still is a lot of it) and some watermelon margaritas. We spent an entire day registering for wedding presents and it was a blast. Seriously, getting to pick out all the things you want without having to actually spend any money.. heavenly! The first weekend of August, one of my best friends from high school married her high school sweetheart. When they first started dating he was older than us and she didn't want to tell her parents. So, for a few months, I was the only person who knew they were dating. Also, keep in mind we were 14 so nobody was really dating.. mostly text messages and passing each other in the hallway and calling each other boyfriend/girlfriend. But, they ended up staying together and 8 years later I had the pleasure of watching them get married!! I worked on my wifey skills while I had an earlier schedule throughout the summer. 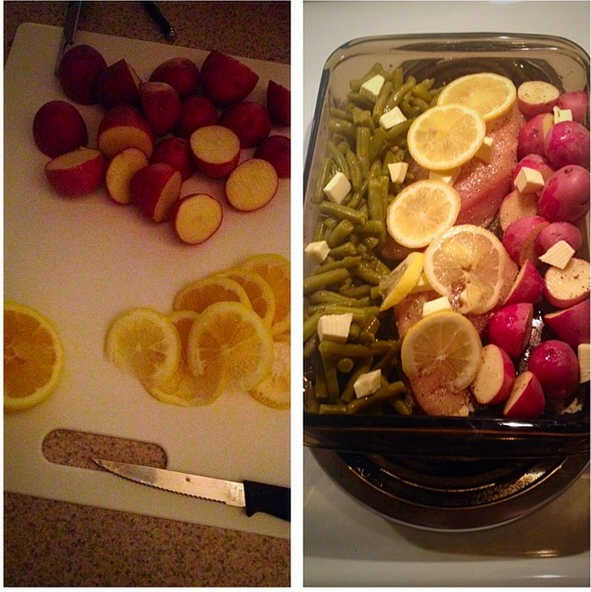 It was nice getting to come home and make relatively healthy dinners for my man and eat dinner together. 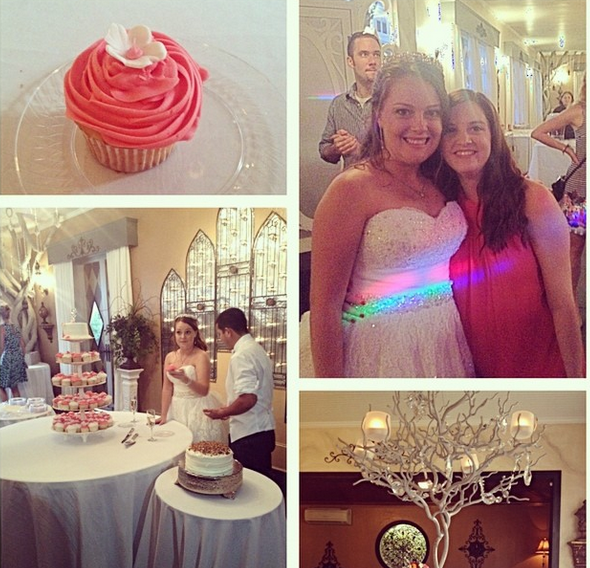 The best part of August was my bridal shower! 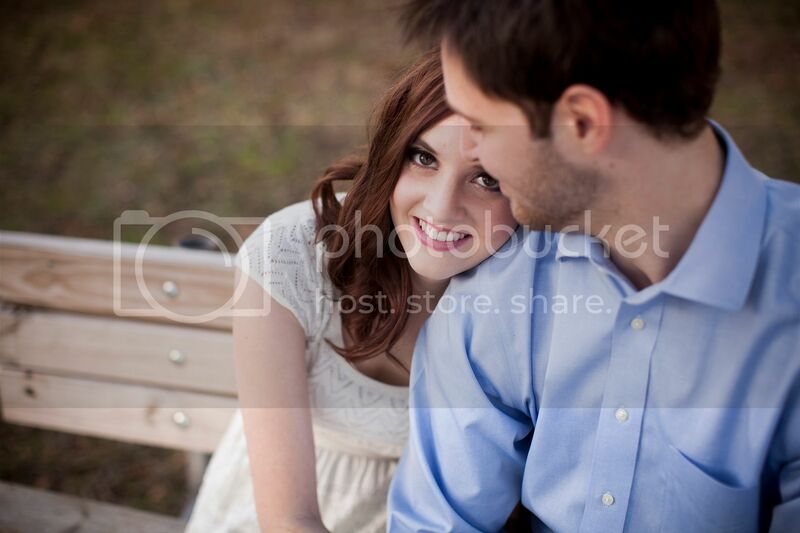 I plan to do a whole post tomorrow.. or maybe next week... for Wedding Wednesday (wait, is this still a thing? I hope so!). My best friend did the most wonderful job planning it and made it exactly what I've always pictured. 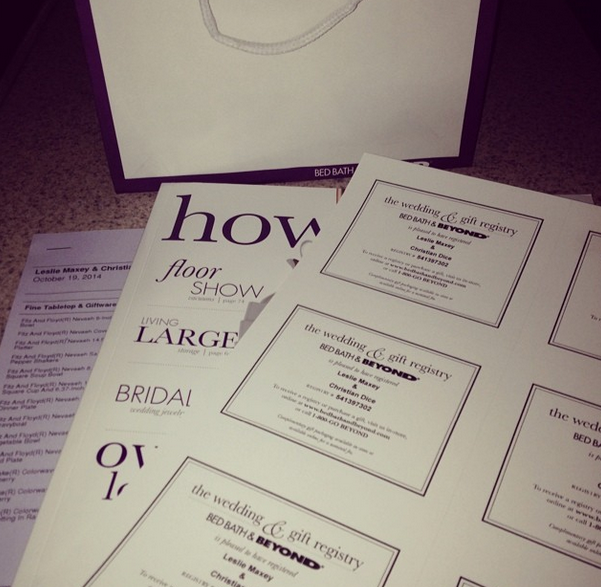 We also spent the weekend getting tons of wedding stuff done - invites, centerpieces, wedding dress fitting, etc. Another great part of August was the ALS Ice Bucket Challenge. I know you guys all remember that, but I've also mentioned on here before that on of my best friend's dad has ALS so we loved seeing all the awareness AND the crazy amounts of money made for the disease. The CEO of my company did the challenge and the challenge the whole company. That lead to the whole company coming together and doing the challenge together. It. Was. Awesome. We had an awesome Labor Day weekend that started with an evening at the pool and grilling out with Sam and her husband. I worked that Saturday, but Sunday Sam and I woke up early and tackled the Labor Day sales at the new Charlotte Outlets. We got some insane deals and I've been dying to wear my new Fall clothes ever since! Sadly, most days have been 80+ since we went shopping..
We've had a crazy summer, for sure. On top of all of this fun stuff, we've obviously been planning the wedding, we've both been working really hard for promotions and of course, building the house. There will be updates on both the wedding and house soon! 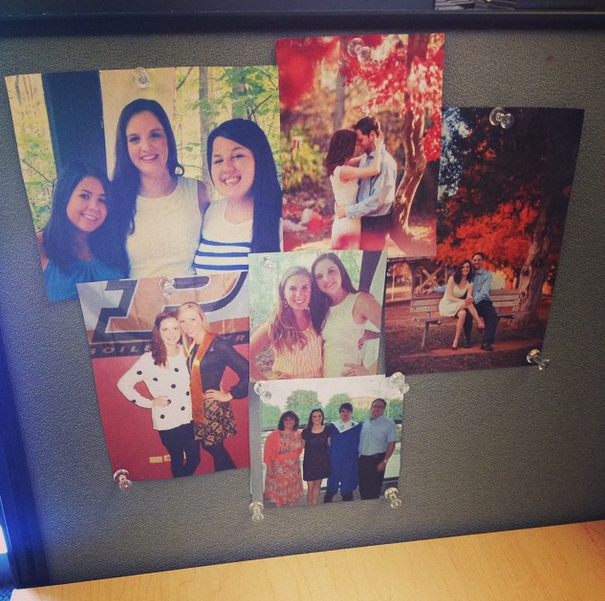 But, the most exciting part of this summer was moving businesses at work. I know I've always been vague on my job but we basically partner with huge companies across the country to do their sales and marketing. Like, huge companies. I've worked on the same business since I started but in August I was moved to a different business and last week I finally got my own team! Its absolutely wonderful to see all my hard work pay off! And, my new boss is awesome. Hopefully, I'll be back tomorrow with some wedding updates! Happy Tuesday, long lost blog friends! Isn't registering the BEST?!! Like oh, I'll get most of this stuff at no cost ;) yay! Happy you're blogging again! Registering was so much fun, especially at Bed, Bath & Beyond- they were really great to us! Wedding Wednesday is totally still a thing! The ALS Challenge success was so wonderful to see, my Mom has MS but through her I met a few folks affected by ALS and I was so happy to see people donating and raising awareness for something so important (and never talked about)! 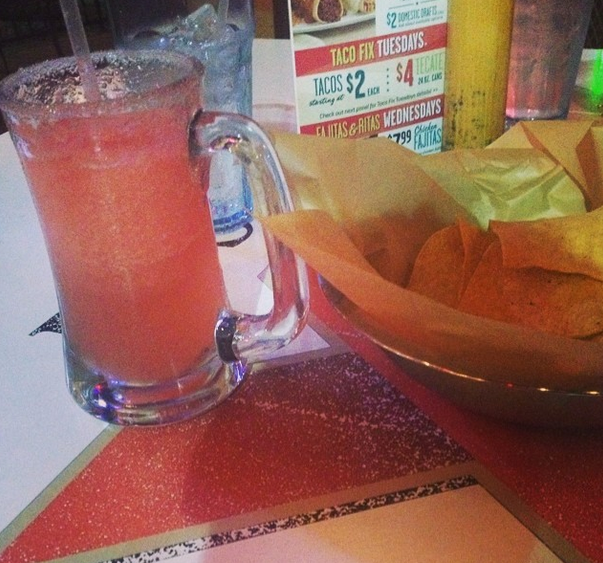 Watermelon margarita sounds delicious! I'll probably have to wait for next year, though. Can't wait to read about your shower! Sounds like a great couple of months. I've been wanting to try the recipe with the chicken, potatoes and beans. Pinned it on Pinterest. They have awesome recipes.